The show is the first interactive concert series for preschool audience. Cable network Disney Junior is launching a high-energy live music and dance touring show, launching early next spring. 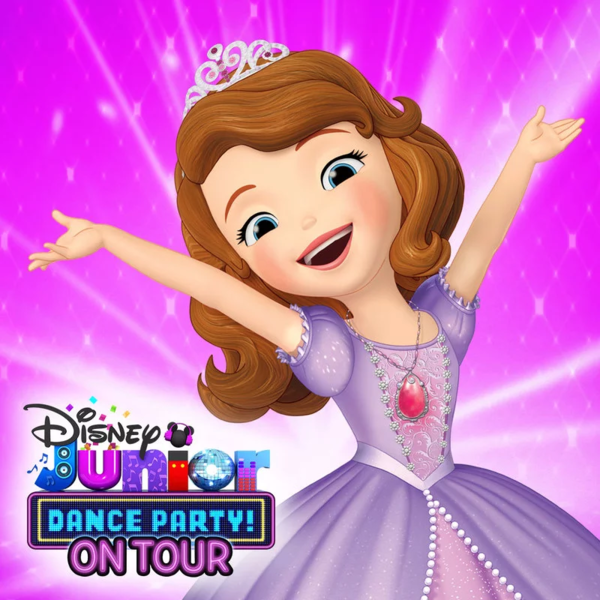 Disney Junior Dance Party On Tour is embarking on a 50-show North American run, featuring characters and songs from a number of popular programs on Disney Junior including Mickey and the Roadster Racers, Sofia the First, Elena of Avalor, Doc McStuffins, The Lion Guard, as well as newest hit series Vampirina and Puppy Dog Pals. Disney Junior Dance Party On Tour will also include an interactive experience built around the relaunch of Muppet Babies, the CBS animated series that originally ran from 1984 to 1991. The show, featuring Baby Kermit, Baby Piggy, Baby Fozzie, Baby Gonzo, and Baby Animal, is coming to Disney Junior in 2018 as a CGI-animated series. "This is really a huge priority for the channel and they are making a great effort to help market this tour as one of their new brands," Jonathan Shank, Red Light Management tells Billboard. "This is the first time all of these characters have come together for one live show." Disney Junior Dance Party On Tour is a music-driven live experience that feels more like a concert than a theatrical kids show, Shank explains, noting, "There's no other concert experience for kids. There's a lot of great theater shows out there right now for the preschool audience," but Disney Junior Dance Party On Tour will feel more like "a first concert for kids." The tour launches March 14 in Southern California at the Thousand Oaks Civic Arts Plaza and will make stops at marquis venues including Rosemont Theatre (May 5) outside of Chicago, The Fox Theatre (March 24) in Atlanta, the Count Basie Theatre (April 13) in Red Bank, New Jersey, the Peabody Opera House in St. Louis (May 10) and The Grand Ole Opry in Nashville (March 28). A complete list of venues and dates can be found here. The show will be hosted by Disney Junior's Dee and Jay and the DJ Dance squad as they welcome Mickey, Minnie and other Disney Junior characters on-stage to perform popular songs including "Hot Dog Dance" from Mickey Mouse Clubhouse, "Time For Your Check Up" from Doc McStuffins, "Zuka Zama" from The Lion Guard and "Happy Helpers" from Mickey and the Roadster Racers. "We are delighted to collaborate with Red Light Management to bring some of Disney Junior's biggest hit series to the stage for kids and families nationwide to enjoy in a truly immersive concert experience," Jennifer Rogers-Doyle, vice president of franchise management for Disney Channels Worldwide tells Billboard in a statement. "The production is absolutely stunning and working alongside Disney and Amy Tinkham to create this show has been an incredible experience and an honor," says Shank. "Parents and children are going to truly love this show. There are new songs, greatest hits and some mashups, which are really fun." Disney Visa Cardmember presale tickets, as well as VIP meet-and-greet packages, are available for purchase starting today (Nov. 8) at 12 pm EST. Disney Junior Facebook pre-sales start Nov. 15 at 10 am local time. Public on-sale tickets begin Nov. 17. Parents can go to disney.com/disneyjuniortour to get more information and to purchase tickets. Additional dates are expected to be announced.